Social workers will be regulated by the government from 2018, under plans tabled by ministers. A new government executive agency will replace the HCPC as the regulator for social workers in England, under regulations underpinning the Children and Social Work Bill. 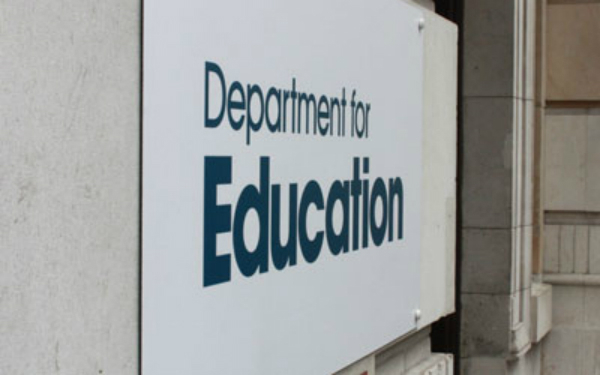 The agency will be accountable to the education secretary and based in the Department for Education (DfE). It will be supported by the DfE and Department of Health with both departments sharing responsibility for social work policy. The move will see the government introduce a new set of professional standards for social workers, more “challenging” CPD requirements, and a tougher approval regime for social work degree programmes. The agency will also oversee the fitness-to-practise system and introduce post-qualifying accreditation and career development pathways. A chief executive for the new agency will be appointed next year. An expert reference group will also be set up to “help ensure the views of the sector are taken into account” when developing standards. In a report outlining the plans, the government said it believes social work regulation “urgently needs” reform. “We need to set credible standards which address evidence of failings in practice and set clear expectations of the profession,” the report said. The move marks a shift from the current system, with the HCPC operationally and financially independent of government. The HCPC is also accountable to parliament rather than the government of the day. Fears have been raised government-controlled regulation will see social work’s professional standards driven by short-term government policy agendas. Ministers considered setting up a wholly independent social-work specific regulator but concluded it was better to “bring regulation closer to government” due to the need to reform and a desire to “effect change quickly”. There will be sufficient checks and balances to make sure there is not “inappropriate political interference”, the government’s report said. Fitness-to-practise decisions will be kept at ‘arm’s length’ of ministers, it added. After three years the arrangement will be reviewed to consider whether the regulator requires more independence. The government has committed to meeting the set up costs of the new agency. Details of how much those set up costs will be, or how ongoing running costs will be met, have yet to be revealed. However, the report said there were no plans to increase the £90 a year registration fee currently paid by social workers within the current spending review period, which ends in March 2020. The Children and Social Work Bill is currently going through parliament. Labour has opposed the section of the bill outlining changes to social work regulation. Here we go again looking at addressing ‘evidence of failings’ and not good practice which will bring our profession forward. My reaction exactly. Of course there are ‘failings’ from time to time, as in any area of human endeavor; but the suggestion that it is the failings that are the mainstay of this profession’s activity ignores the skills, talents and commitment of thousands of professionally qualified social workers who adhere to good practice. As a retired social worker I agree the profession should be regulated but do not think we should be accountable to the Education Secretary. What does the Education Dept. know about social work? Very little if judged by the performance of Ofsted which uses inappropriate education standards to judge social work depts. & institutions. Standards should be set & judged by respected managers from within the social work profession. As usual everyone else thinks they could do better than the highly trained social workers themselves. Of course there are incompetent people who should be weeded out, but so there are in Education & Health too. It really is a case of physician heal thyself. So social work will suffer the same swings and knee her policies that education endures. Wave goodbye to the long term and hello to election cycles and political expediency. Political non-interference, really? I’d like to see if Dh and DoE can improve the longevity of social workers. On average they work 7.7 yrs, in the army, 10. Last person out please switch the lights off. There should be better preparation for potential social workers before they join the profession. Currently the training does not prepare them for real social work practice. Caseloads should be capped at a manageable and realistic level. Social workers should be allowed to carry out social work, and less time spent on administration and record keeping. It should be mandatory for regular supervision at appropriate intervals be given to social workers. Excellent communication should be a mandatory requirement for social workers, without fail! Well spoken John. I quite agree with you. There is a serious need to improve the practical social work rather than the over spent hours on administration. This is just depressing. I had a vague idea of moving to scotland once I qualify… now after the EU results and now this I feel compelled to leave England ASAP. Why was General Social Care Council disbanded in 2014 if a new one is to be formed after moving the registration etc to HCPC? Unfortunately, Santokh, it won’t be like the GSCC, which was in essence independent of Government. It will be direct regulation by a partisan and hostile government, irrespective of what is being said about ‘glass walls’ and ‘checks and balances’. The department of health seems a better option to be responsible for social worker regulation. The social work “profession” definitely needs overhauling. From what I’ve seen a lot of the social workers are not fit to practice. The management system is very weak, which creates a breeding ground for corruption, I’ve witnessed third world type corruption such as black on black racism and cronyism; involving line “managers” who have become tinpot dictators. The hcpc lacks capacity to deal with social workers who discriminate against and bully fellow social workers. Senior managers lack capacity to deal with lower managers who engage in the abuse of office. Peofessionalism is much better in the NHS. Yes, social work needs to be regulated and practice improved where necessary. However, this should be done by people who are experienced in social work and driven by the needs of the profession and our customers – not by political expediency. What about adult social care? What does the education secretary know about mental health, older persons, and disability care? What should be done is the waiting time for candidates to decrease! At the moment, no one regulates the HCPC, and it is taking longer then 4 months for candidates to get on this register. This is resulting in council`s having to wait longer for experienced social workers to start. It seems like the HCPC are not accountable to anyone and have no urgency, in what is a urgent skill`s shortage. So our future ‘Boss of Bosses’, Capo du Tutto Capi’ will be Johnson, Gove, or some other rich layabout telling us we don’t work hard enough and don’t need a payrise or any more staff? Some of you out there voted for these clowns and are now reaping what you’ve sewn. We need more resources and funding for the people we work with. Less case loads, respect and confidence from the courts and more face to face work than paper work to improve not more hoops. “We trained hard… but it seemed that every time we were beginning to form up into teams we would be reorganised. I was to learn later in life that we tend to meet any new situation by reorganising; and a wonderful method it can be for creating the illusion of progress while producing confusion, inefficiency, and demoralisation”. Gains Petronius Arbiter 27 AD – 66 AD. This sums up many of our Local Authorities and also our government. Gove had had a reputation for negatively impacting on our education system and now our judicial system, Jeremy Hunt has been in conflict with our NHS junior doctors (and others). The consistent theme seems to be that they don’t understand what people do in the government departments. Couldn’t agree more, Kelly, and in the case of most current cabinet ministers, they have not the faintest clue as to what austerity or poverty actually mean. Best wishes, Michael.